Camp for €16,- a night at Camping Le Moténo in low season with CampingCard ACSI. 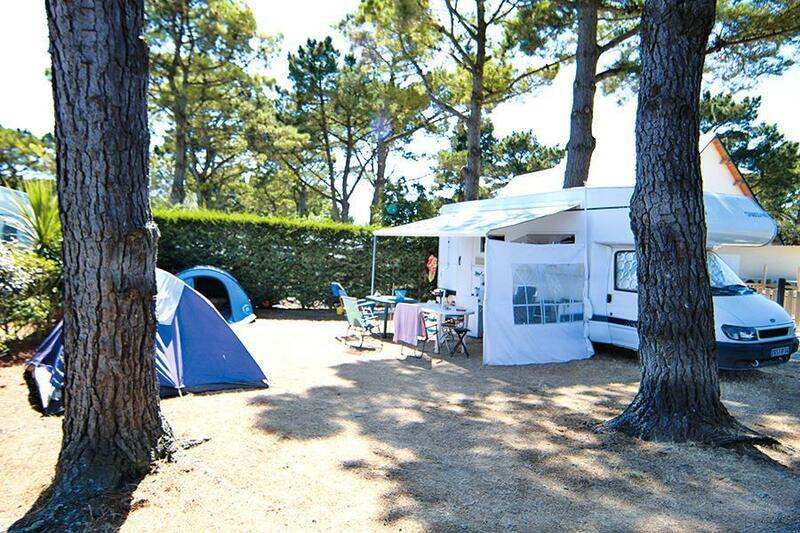 Camping Le Moténo, located in Plouhinec (Morbihan), is a campsite with 55 touring pitches and 30 year round pitches. With your CampingCard ACSI you can camp on one of the pitches during the following periods: 06-04-2019 - 06-07-2019 and 02-09-2019 - 21-09-2019. At this campsite you can not only use your CampingCard ACSI for inexpensive camping, you can also use your ACSI Club ID (as an alternative ID). Spaciously appointed campsite with pitches under trees. Indoor and outdoor pool with various slides. Nice toilet facilities. Très bon camping, personnel très accueillant, sanitaires très propres nettoyage 2 fois par jour, piscine intérieure rien à dire, pour l'amusement peut rien dire car partie en basse saison, soirée moules frites le jeudi soir très bon pour tarif attractif. Un camping que je recommande. CampingCard ACSI will send your information request to "Camping Le Moténo".